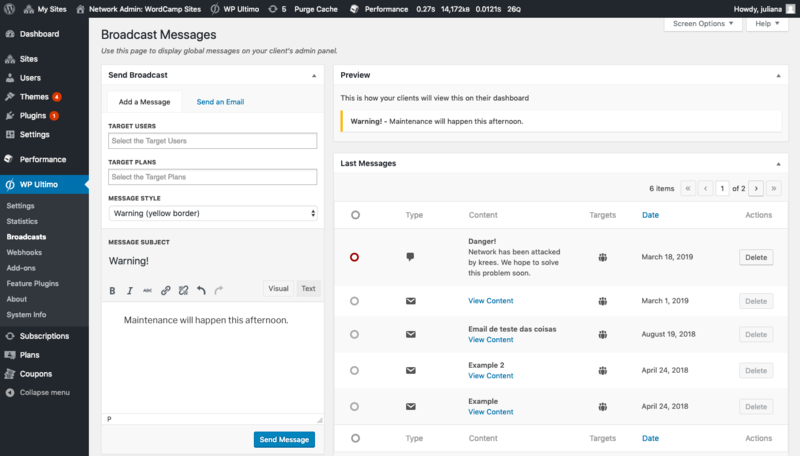 If you need to send global admin messages, you should reach for WP Ultimo’s Broadcast feature. 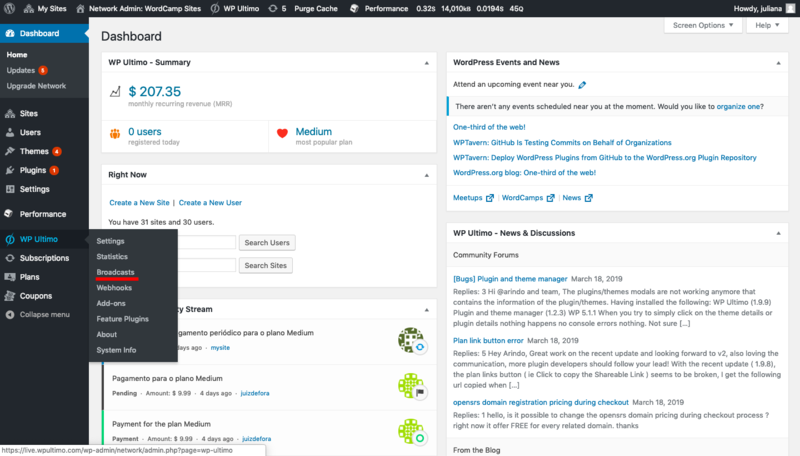 On the network panel, click on the Broadcasts option in the WP Ultimo menu. 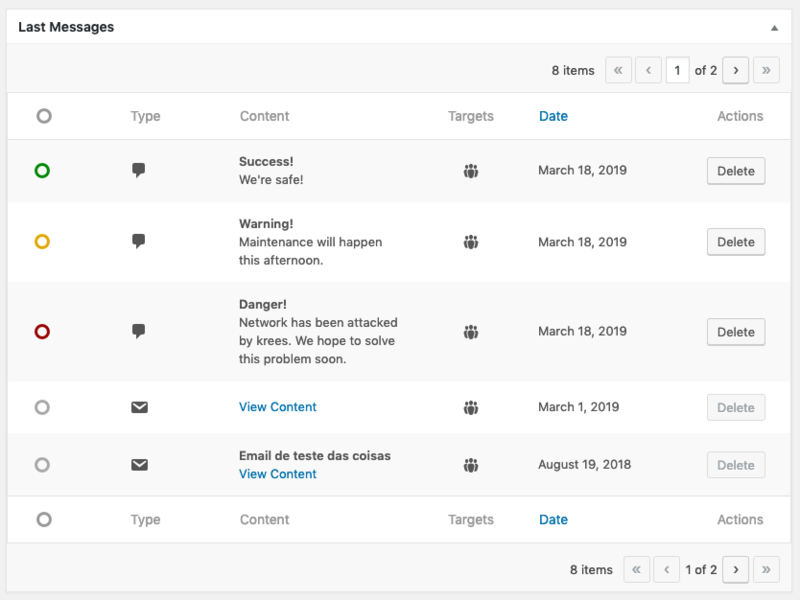 From this page, you can send messages that will be exhibited on your customer’s Admin Panel with information on network issues, according to the targets chosen. You can also send emails to one or many different recipients, choosing among your users or plans. 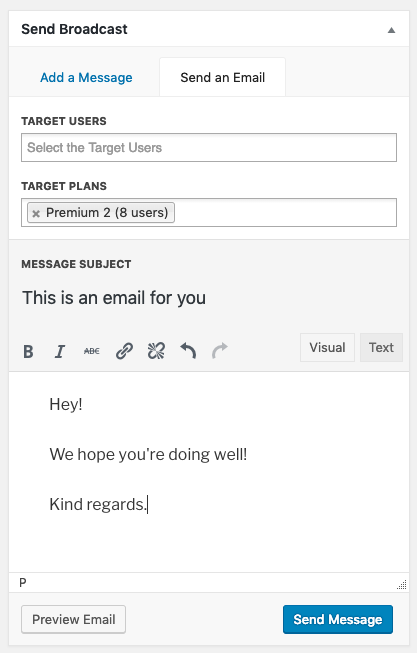 By clicking the Preview Email button, you will receive the message on the email registered as admin’s network email in order to check its final looks. On the right column you have the list of all the messages you have sent. There you can check their status, type, content, targets and date. You can delete the the network panel messages as well.